The photos in her office tell a story. Kristyn Masters is a very proud mom of two young daughters. She’s also a skilled climber. And when she isn’t helping her girls complete their homework or climbing mountains in her precious little free time, she is at work at UW-Madison helping other women scale the obstacles that might be standing in their way of achieving dream careers in science, technology, math and engineering. Masters, who was born in Canada but grew up in the Detroit area, has benefitted from mentors and credits a scholarship for women she received as an undergraduate — and the professor who nominated her — for setting her career path. While at Rice University working on a Ph.D. in chemical engineering, her lab work took her into the field of biomedical engineering. While few biomedical engineering departments existed when Masters was an undergraduate student, she notes that there was a push in the mid-1990s by the Whitaker International Foundation to greatly expand the number of biomedical engineering departments in the United States. In fact, UW-Madison’s Biomedical Engineering Department is a result of that effort. While in graduate school, Masters was awarded a biotechnology training fellowship, and performed an internship at a small startup biotech company in Atlanta. She says that experience confirmed for her that she preferred the discovery-driven research environment of academia. She merged her pursuit of science with her love of climbing while performing her post-doctoral studies in Boulder, Colorado. She then took a year off from academia and rock climbed around the world with her husband. Her first faculty job interview was at UW-Madison. She recalls being sold on the university on day one. Today, Masters, an associate professor in biomedical engineering, is driven by the potential that when scientists and engineers collaborate, they are able to help solve our world’s increasingly complex problems. Her research at UW-Madison focuses on biomaterials and tissue engineering. 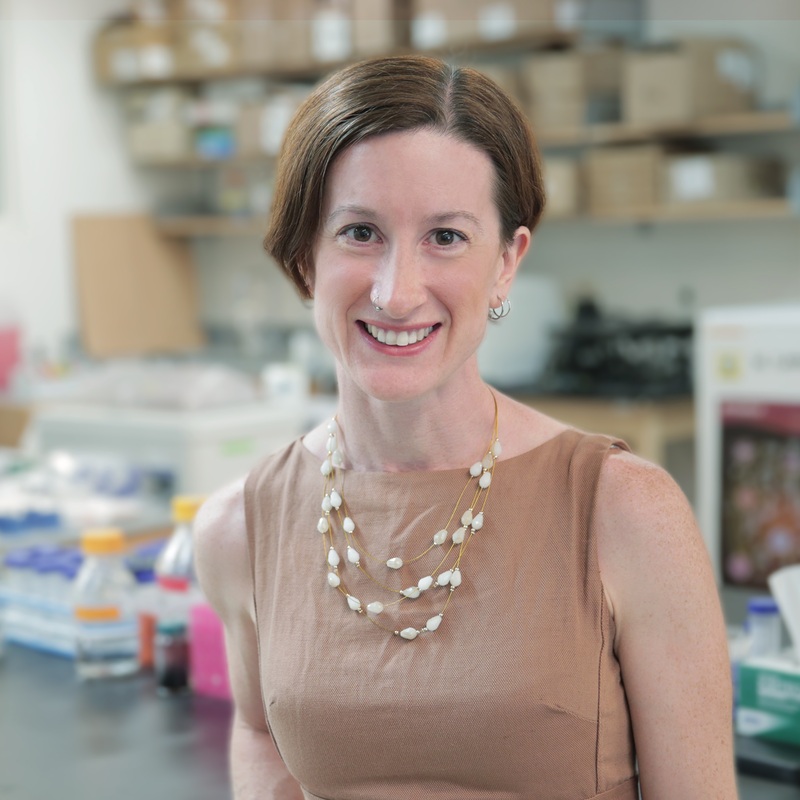 Through her investigations, she hopes to discover new targets for therapeutic intervention, as well as develop personalized medicine approaches by identifying types of patients most likely to benefit from a specific therapy. Tissue engineering is a powerful tool and Masters’ research epitomizes the Wisconsin Idea. “Over half the people I meet — if I bring up one or two projects, either heart valve disease or our work on age-related macular degeneration — someone says one of their relatives has had that and can relate,” Masters says. Another research project she is working on is related to breast cancer. “We are targeting some major diseases where we hope to have an international, national and local impact,” she says. How does one develop tissue in the lab? There are several approaches. Masters often starts with gathering pig valve cells. “It’s great living in Wisconsin because there is such a strong agricultural business community, that we can get a lot of animal tissue that is a by-product of animals that are already being used for food,” she says. Masters also uses pig eyes for a research project to develop treatments for age-related macular degeneration, which she points out affects more people than all cancers combined. And she uses donated human organs or tissue in her research. She then combines the cells with a scaffolding system comprised of biomaterials that mimic native tissue. That’s one approach — the engineering mindset of combining cells with other materials and culturing them together into a 3-D construct. But using another approach, Masters takes native tissues and cultures the intact tissue. For example, she might take a native heart valve leaflet and put it into a bioreactor to try to manipulate certain cellular or protein aspects to see how disease happens or combines with other disease factors. Other awards round out an already impressive CV, but it’s her students that Masters take the most pride in. Masters is currently teaching Biomedical Engineering Design, an undergraduate course, and one of the reasons she chose to be a professor in the UW-Madison Biomedical Engineering Department. Intense? “It is highly rigorous,” she says. She also teaches a mixed undergraduate/graduate course in Tissue Engineering and a mostly upper undergraduate/graduate course, Engineering Extracellular Matrices. In addition, Masters is the faculty director for the Women in Science and Engineering (WISE) residential learning community. WISE is comprised of 85 women, primarily first-year undergraduate students, who are interested in STEM majors or careers. In WISE, these students make strong academic and personal connections with each other as well as UW-Madison staff and faculty who share their interests. WISE women learn about cutting-edge scientific research topics and future career possibilities. Masters points to research that shows a disproportionate number of young women compared to young men, begin their collegiate educational path in the sciences but end up dropping out. Retaining women in STEM disciplines is a concern at universities around the country. Masters says training both undergraduates and graduates is the most rewarding part of her job.